A Community on the CUSP! The Filbert Street Community Garden officially kicked off the OSI-supported Community Urban Agriculture and Sustainability Program (CUSP) in Brooklyn / Curtis Bay on December 17th. 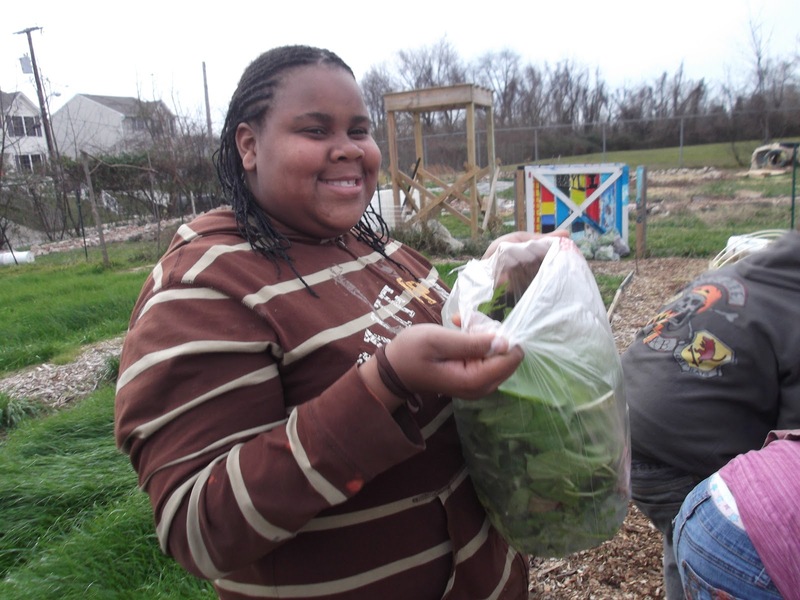 The goal of CUSP is to develop a network of community members, schools, churches, and local organizations who can work together to develop a community managed, maintained, and distributed source of food. 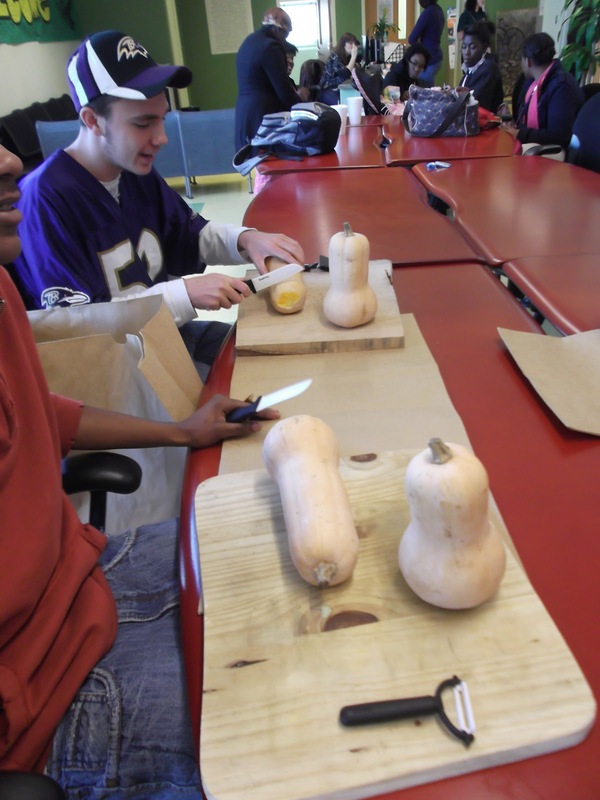 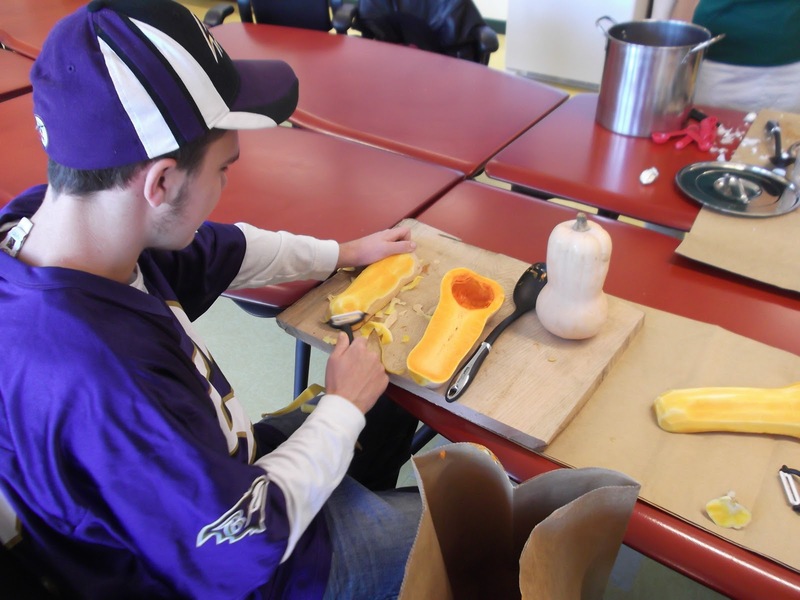 First thing in the morning, members of the Community Garden dropped off 15 garden grown Butternut Squash, along with some store bought ingredients and cooking utensils at Benjamin Franklin High School at Masonville Cove. 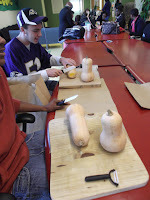 5 students participated in a short cooking class: learning knife skills, how to prep their ingredients, the basics of using hot plates and food processors. 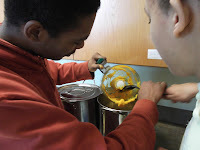 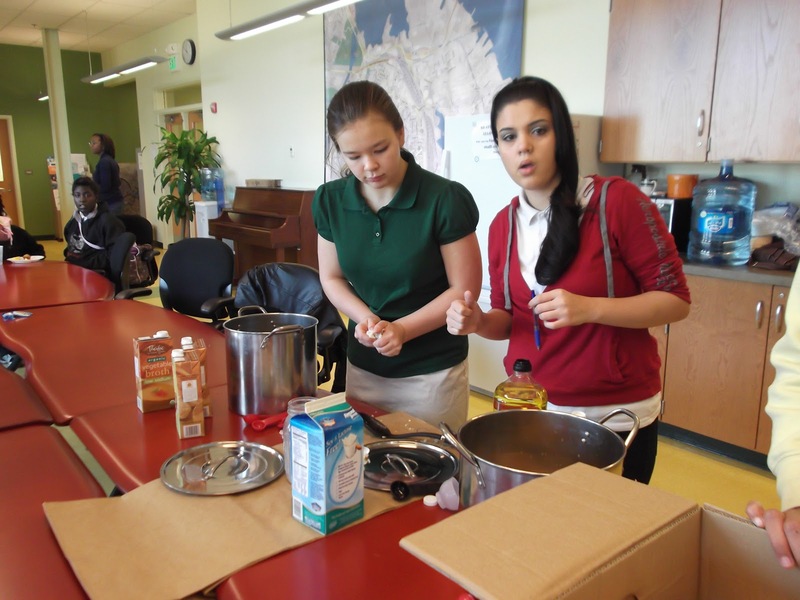 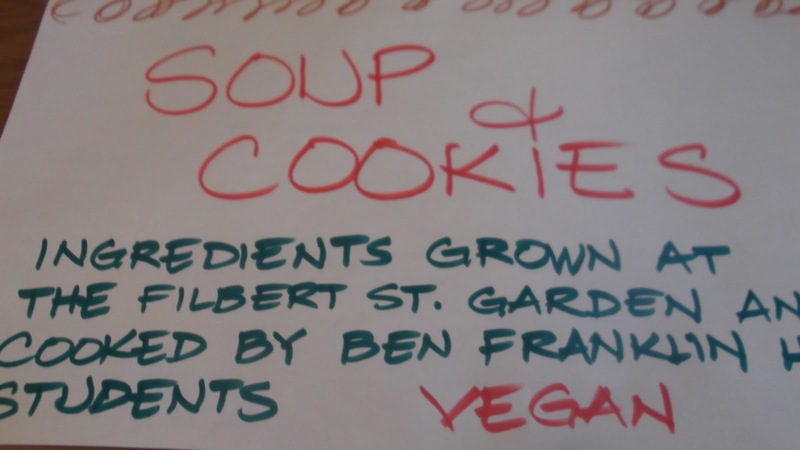 From this point on, the experience was completely student-led, with the student volunteers developing a recipe, preparing a broth, peeling cubing and cooking the squash, combining the ingredients into a soup and spicing to taste. The result? 3 gallons of delicious, community grown and prepared butternut squash soup which was served the following day at the High School's Holiday Event to members of the the school, community, and volunteers from Occupy Baltimore. 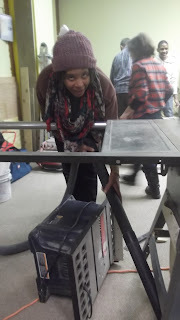 and CCYD's Building Trades Program and helped with a much needed workspace cleanup. 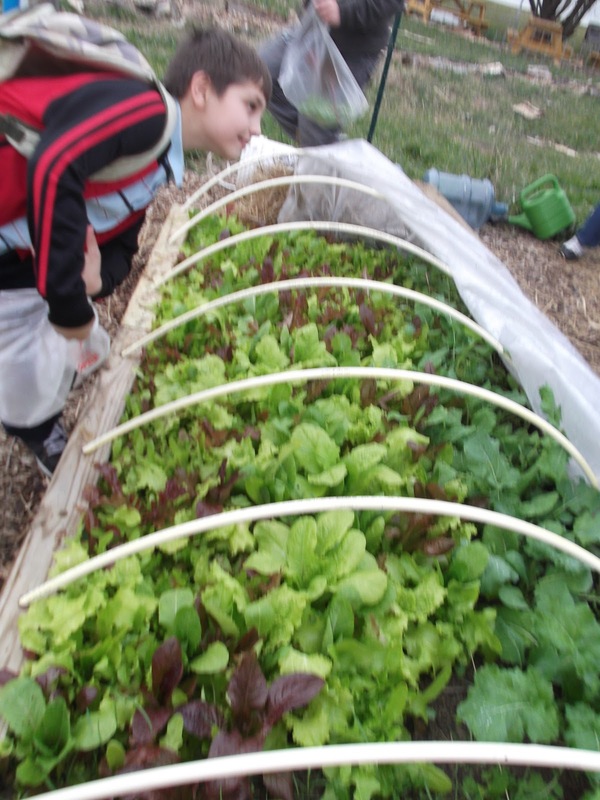 A HUGE "thank you" to the students who helped, the community gardeners who donated their crop, and the folks at BFHS@MC, especially the SWCOS and VISTA folks! 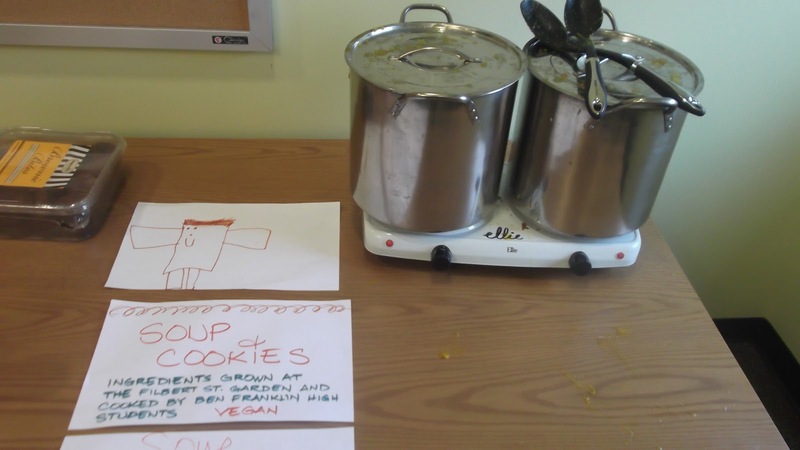 After the soup was safely simmering in the high school offices on Friday afternoon, attention turned to Curtis Bay Elementary/Middle School just up the street. 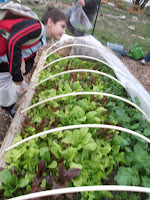 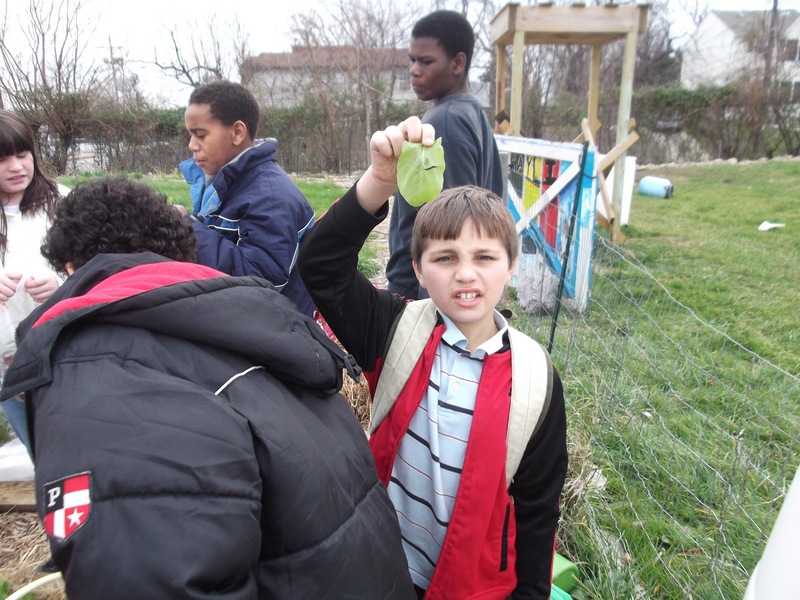 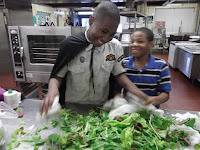 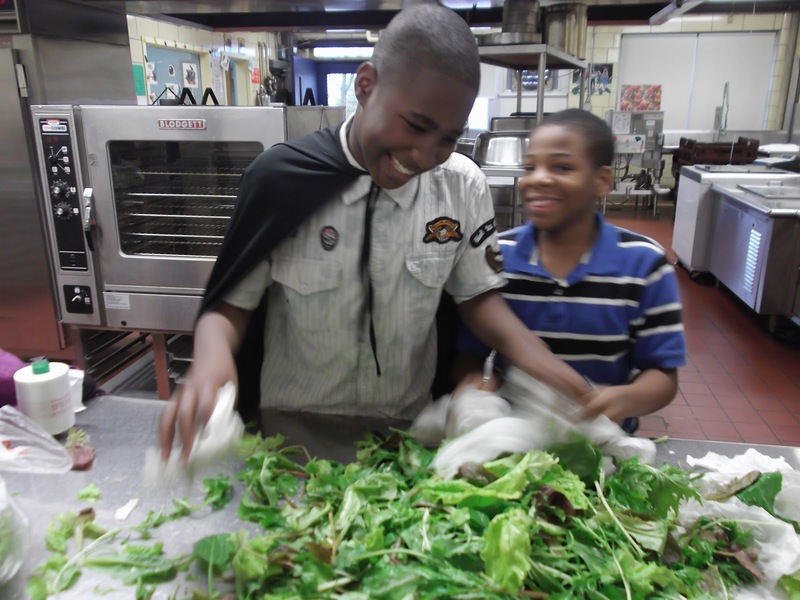 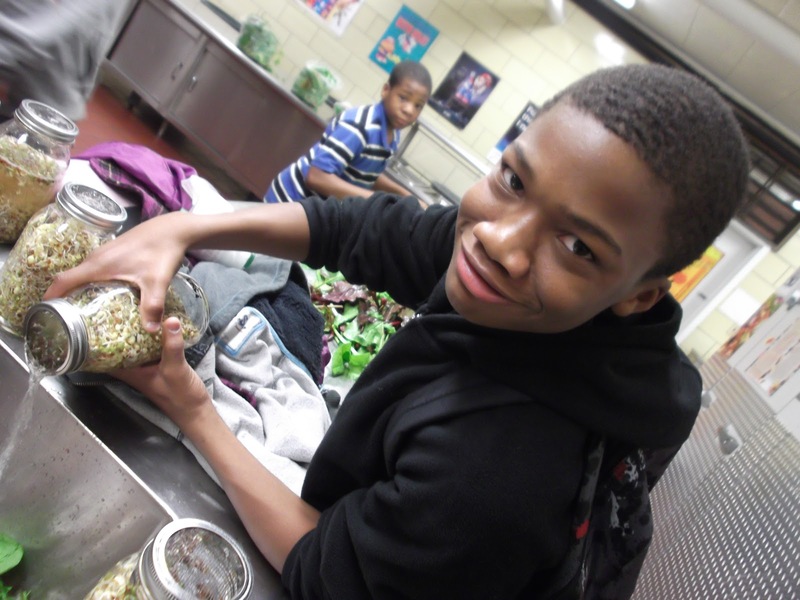 The After-School Garden Club spent their lunch time out in the garden harvesting the 6 raised beds they planted with mizuna, sorrell, spinach, kale, collards, and a mix of Lettuces. 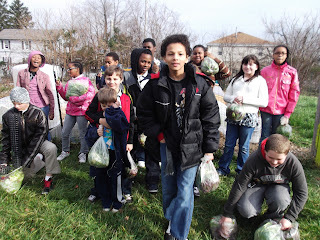 The harvest was incredible! 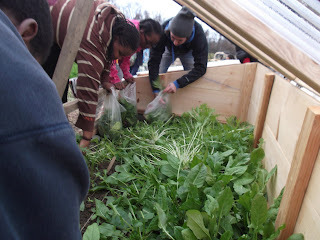 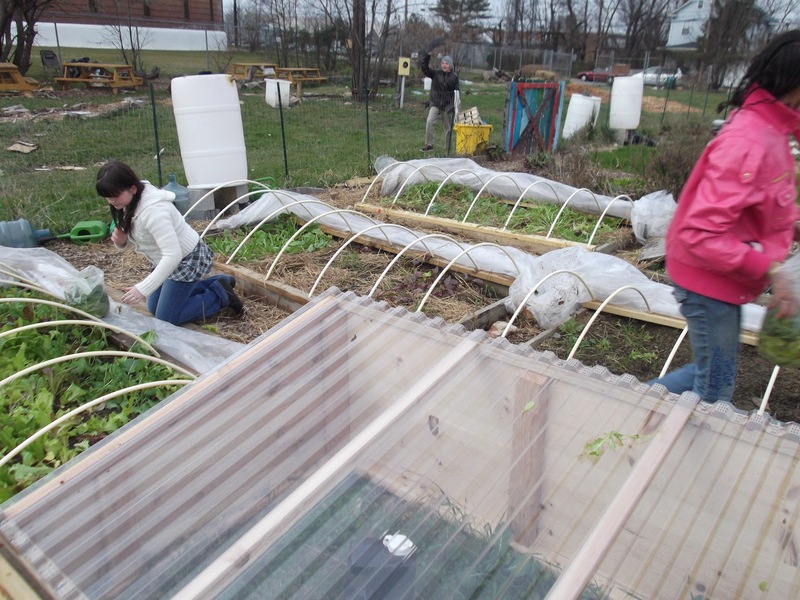 those cold frames and low hoops funded by the Knott Foundation (plus the unseasonably warm temperatures) resulted in a harvest that look more like mid-April than mid-December. 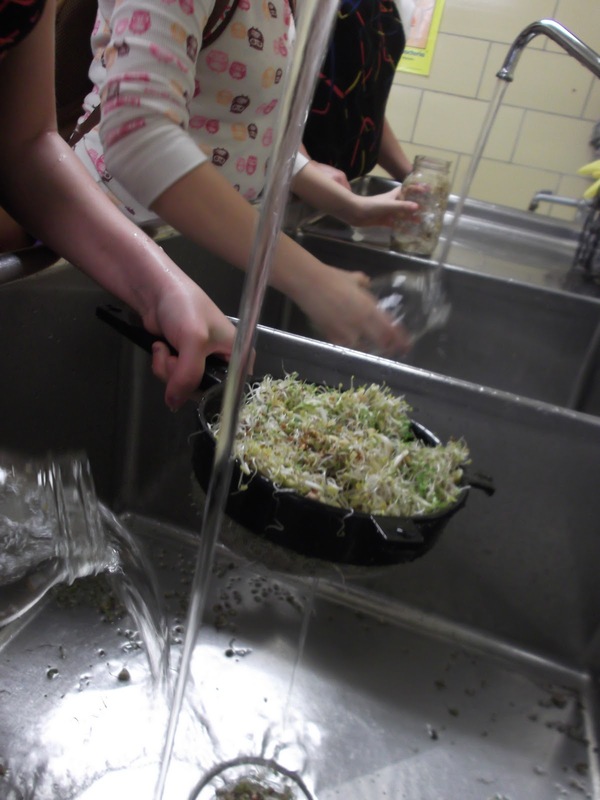 (PBIS incentive school money) for each full mason jar of sprouts. 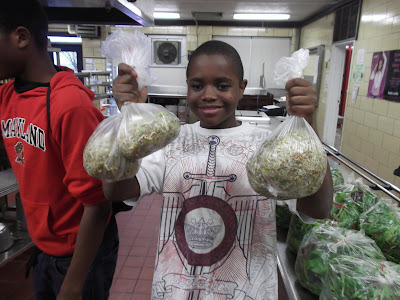 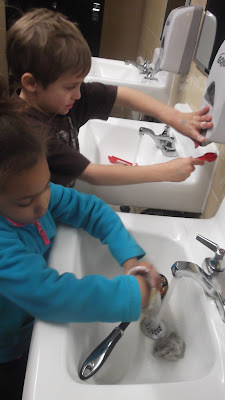 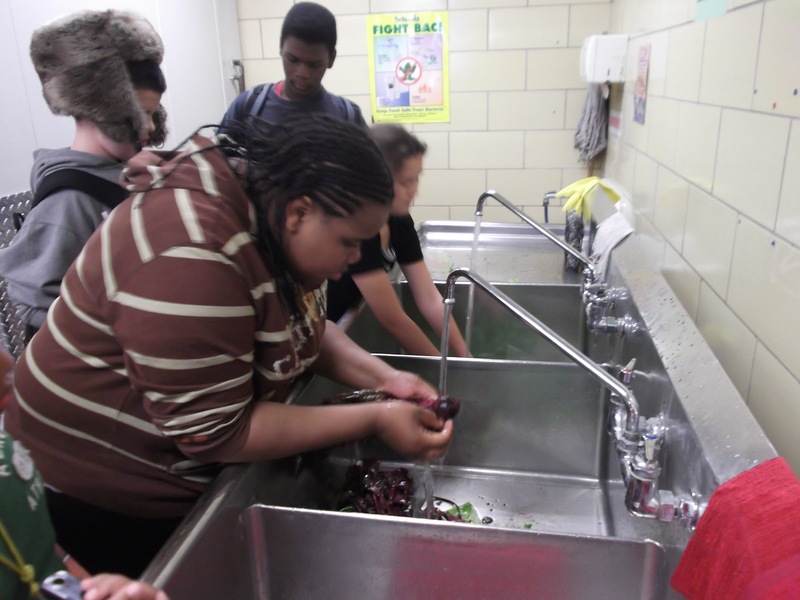 The School Green Team spent the last hour of their school day working with Ms. D. in the kitchen rinsing, drying, mixing and bagging the school's harvest. The final numbers? 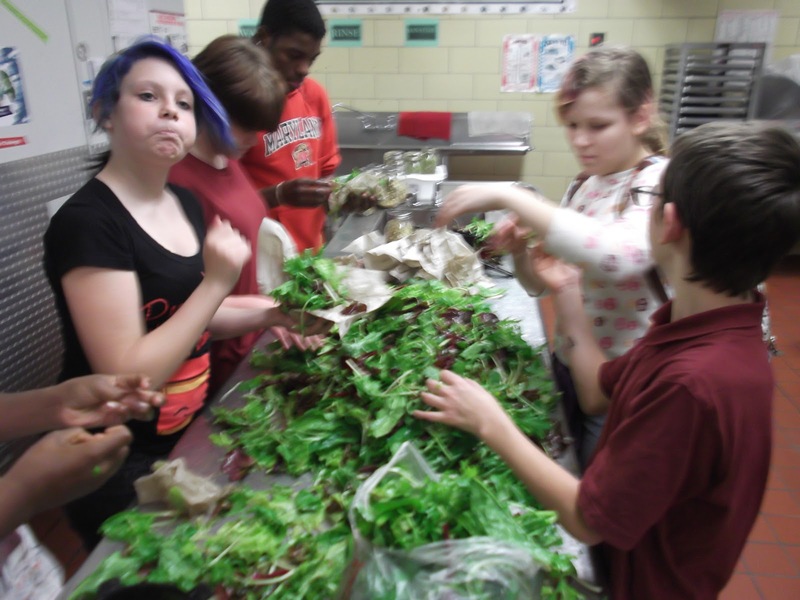 8 bags of community grown, freshly picked salad mix... over 10 lbs. 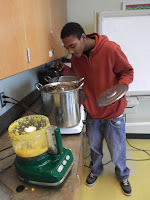 of food! What could we possibly do with all this food? 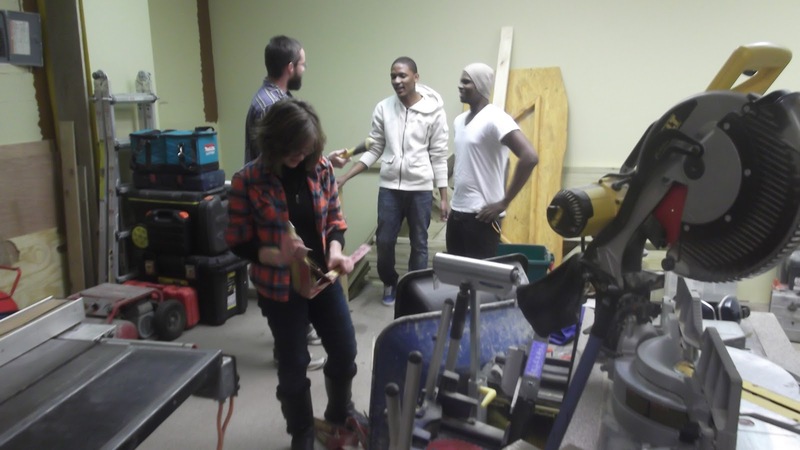 That's where another of our community partners comes in. 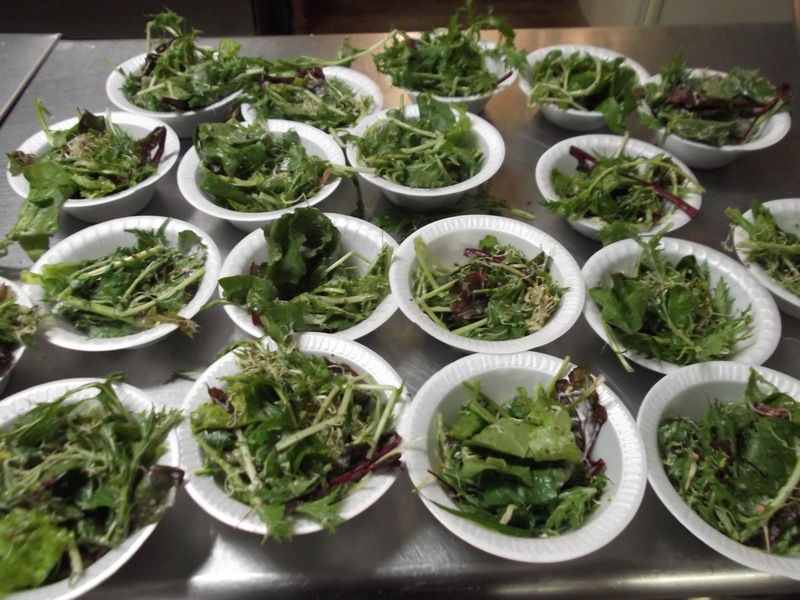 The Brooklyn Church of God hosts a community dinner every Friday night. 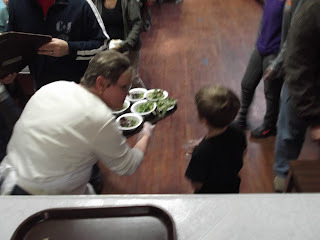 In these difficult times, the dinners often have attendance of over 100 people. 2 students joined Dave Dallas (IEP teacher, and Green Team teacher) and Mr. Jason at the Church, where the salad was served to over 90 people, along with the spaghetti and bread provided by the church. 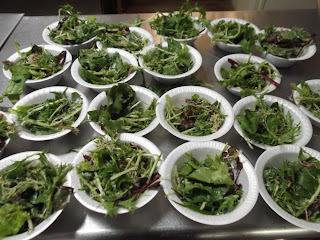 Not only was there enough salad for people to have seconds, but we actually went home with 2 full bags of uneaten salad mix!